When it comes to looking after an animal it is always important to do a little bit of research beforehand. This is essential because it will stop the pet owner from making any dangerous mistakes that could be harmful to the animal. It also means that the creature gets the best possible chance of growing and thriving in a healthy environment. It can difficult to know where to begin. Hopefully, this handy guide of tips will be helpful. This will allow the parakeet to be examined. It also means that any possible issues can be found and treated. 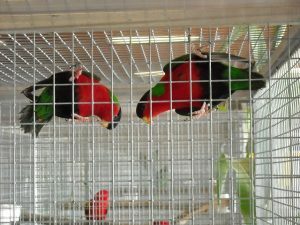 The ideal cage size will vary from bird to bird. Usually, the cage size should be a minimum of 8 x 24 x 24 inches in dimension. Some types of metal can be dangerous for a parakeet. This is not ideal as these birds have a habit of nipping at their cages. For this reason, it is important to go for a material that is not harmful. Stainless steel is your best bet in this case. Birds enjoy climbing. Parakeets are no exception. A parakeet’s quality of life can be increased dramatically when it’s cage has horizontal bars. It allows them to move around and get the exercise they need. This will help to promote a healthy environment. Keeping the cage properly cleaned will keep the bird in good health. This is must-have item for bird cages. It means that the parakeet can sit comfortably. Getting one made from wood branch is the best choice. It needs to be large enough for the bird to spread out its toes.